Trade Reading Order » Hellboy Universe Reading Order List Up! 53 Books Added: BPRD, Crossovers, Etc. Hellboy Universe Reading Order List Up! 53 Books Added: BPRD, Crossovers, Etc. 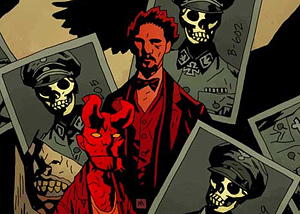 The Hellboy Universe list is now online! All the relevant books from the previous blog post have been added, along with a couple others that weren’t on there – making 53 new books added to the database. Take a look at it and let me know if you have any suggestions! I haven’t read any Hellboy yet, unfortunately, but I’m going to pick up those sweet Library Editions soon. sites explaining the actual product or service information using elements.